Internal Medicine encompasses all aspects of adult medicine. By means of thorough history-taking and proper physical examination techniques, a competent internist should be able to establish a differential diagnosis leading to an accurate final diagnosis and therapeutic plan. In this way, the internist provides care for the patient as a whole, putting all the pieces of information together to help solve puzzling diagnostic problems. The third-year Internal Medicine Clerkship is designed to allow the student to apply all concepts learned from the first two years of medical school to an adult population. It provides a clinical experience that includes inpatient and outpatient settings. Also, the student will be exposed to Internal Medicine subspecialties, including: Allergy & Immunology, Cardiology, Critical Care, Endocrinology, Gastroenterology, Geriatrics, Hematology & Oncology, Infectious Diseases, Nephrology, Pneumology, and Rheumatology, among others. 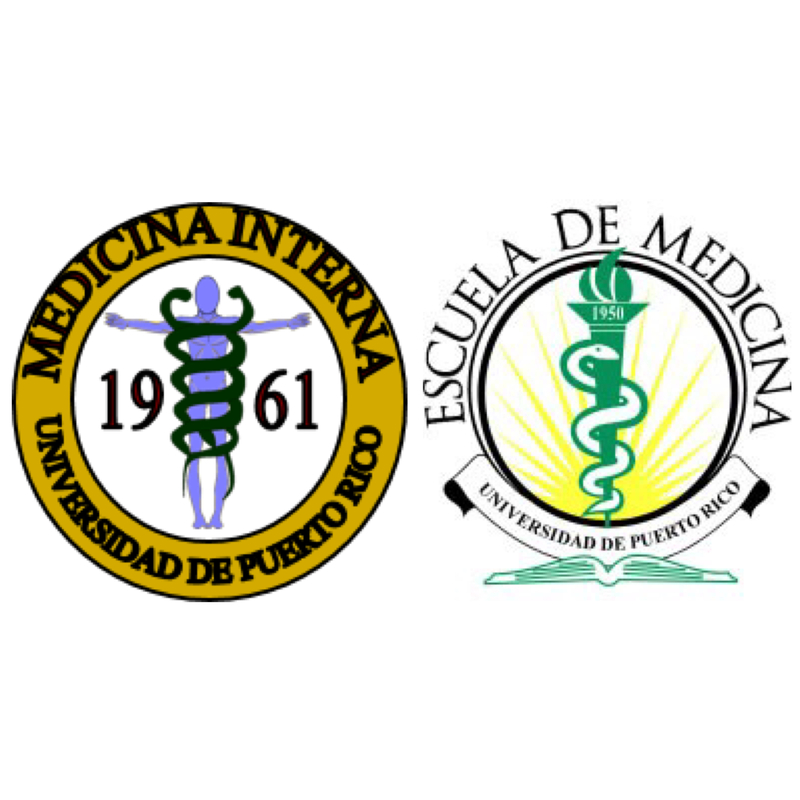 The Internal Medicine training program of the University of Puerto Rico and its subspecialty training programs are fully accredited by the Accreditation Council for Graduate Medical Education (ACGME). Internal Medicine is one of the core Clerkships for the third year medical students. This duty is shared with Family Medicine, Surgery, Pediatrics, Obstetrics & Gynecology and Psychiatry. As part of the core curriculum, medical students will become skillful in history taking and physical examination. Diagnostic work ups and therapeutics will be covered through the experience with real patients. The Internal Medicine Clerkship is a ten (10) weeks rotation. The clinical experience is divided equally among the hospitalized and ambulatory experience. This course is offered three times throughout the academic year. The maximum number of students during any of these cycles is forty-two (42). No exceptions will be made to this rule. Please keep in mind that in order to accommodate this number of students, we use several teachings sites throughout the Island. You may be assigned to any of these sites. The academic experience is equivalent among all clinical sites. This is a clinical experience held at the department of medicine, University Hospital or at any other hospital of the consortium of the School of Medicine. The student will work assigned patients; medical history, physical examination, clinical conclusions and manage the patient under supervision. It is expected that he/she attends all educational activities offered during the clerkship. The Internal Medicine Junior Clerkship provides a structured clinical experience in the broad field of Internal Medicine. This four-week training will serve to improve and build upon those cognitive and technical clinical skills already attained during the third year medicine clerkship. To increase responsibility in the evaluation and management of patients, the student will obtain a level of competence and self-confidence enough to be prepared for entering their first post-graduate year of residency. The Internal Medicine Junior Clerkship includes General Internal Medicine and the Internal Medicine subspecialties, such as: Cardiology, Endocrinology, Gastroenterology, Geriatrics, Hematology/Medical Oncology, Infectious Diseases, Nephrology, Critical Care/Pneumology and Rheumatology. Medical Professionalism incorporates the values and skills that the profession and society expects of physicians. Through small group discussions, several aspects of medical professionalism will be discussed. The Internal Medicine Residency Program and its subspecialty programs are fully accredited by the Accreditation Graduate Medical Education (ACGME). conferences, and lectures. Seize opportunities to learn from your patients and those around you. Never forget, you are caring for real people.